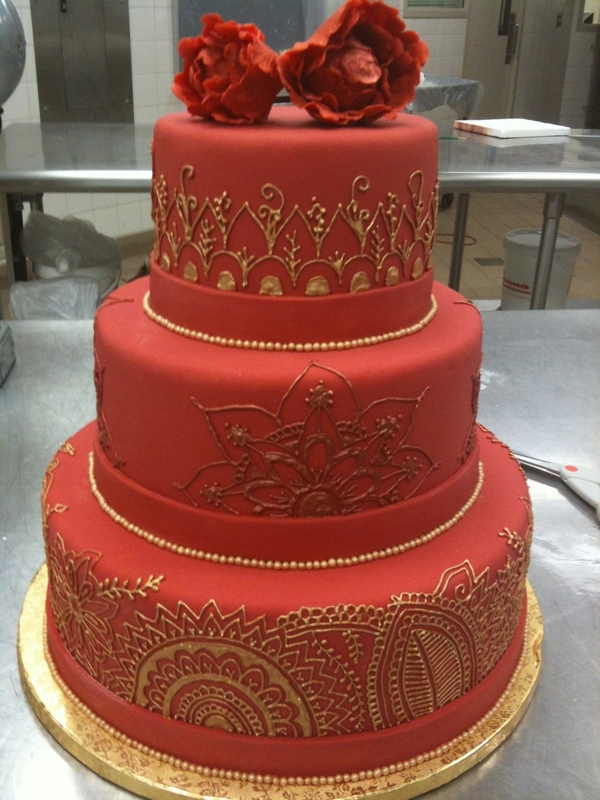 This cake is covered in brick red fondant and the henna designs are piped in red royal icing then painted gold. 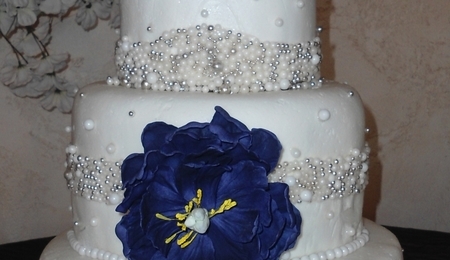 The flowers on top are gumpaste peonies. 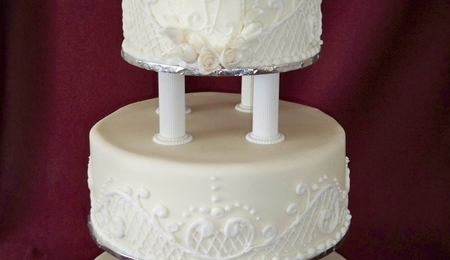 This one took a while!